Do make plans to check out this year's Singapore Writers Festival 2013, because there are so many exciting sessions to look forward to! I'll be there as part of a panel on self-publishing, along with fellow authors/publishers Shamini Flint and Eliza Teoh. Both of them have written popular books for young readers. Shamini is especially known for her "Sasha" series, as well as "The Seeds of Time", about two kids who try to save our planet. 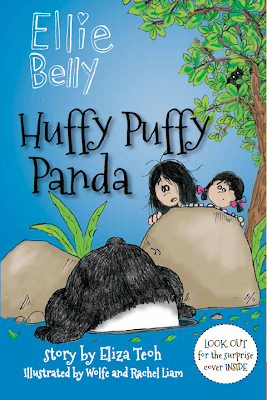 Eliza is the author of the fascinating and super-funny "Ellie Belly" series, and she also publishes other authors through her Bubbly Books publishing company. Eliza and I used to be classmates, and we're proud to feature her this week on our Super Cool Books blog. Check out her interview below, and remember to join us at the SWF. We'll answer questions, take photos with you, and of course, sign your books! I am an editorial consultant and children's book author. I used to be a journalist and sub-editor, so in a way, I've always been writing... it is all I know how to do. I started the "Ellie Belly" series in 2011. I wanted to do something with writing that I had never done before. At that time, I had written lifestyle stories, political stories, commentary pieces, corporate reports and contributed to history books and travel books. 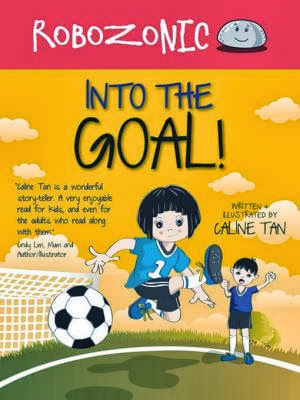 But I had never written anything for children... so I thought, why not? Some parents can't get their kids to enjoy reading. I don't find this a challenge at all. My challenge is to get my kids to stop reading and pay attention to other things! Getting kids to read is the simplest thing - just bring them to the library and allow them to read whatever they want. Parents should stop wasting money on enrichment classes and buy more books to fill their homes. No child brought up surrounded by books can resist reading. I'm a little nervous about being a panelist at this year's SWF, as I'm not fond of speaking in public. Hopefully, I won't blank out! Ellie Belly is a very cheeky and inventive seven year old. She's always getting into trouble - not because she's naughty, but as a result of her experiments and curiosity. It is my way of telling my real life daughter Ellie that even though she's infuriatingly destructive and unmanageable, I get why she does the things that she does! Ellie Belly also talks to animals. I love animals and so do my two kids. I thought giving Ellie Belly the ability to talk to animals was something that would make the book a little more fun. Fans have embraced the idea. They tell me they can talk to animals (or at least they wish they could) too.
. The "Robozonic" series by Caline Tan. She has released 5 books in the series.
. The "Extraordinary Losers" ("exlosers" for short) series by Jessica Alejandro. Her first book was nominated for the prestigious Hedwig Anuar Children's Book Award 2013.
. "Mountain of Fire" by Radhika Puri, who is an award-winning journalist.
. "Run" by Gabby Tye (my older daughter). This is a dystopian novel set Singapore. We are also getting ready to launch a few more exciting children's books in 2014, including a new science series called "Brain Storm"! Readers can get hold of our books at any bookstores, including Popular Bookstore, Times and Kinokuniya. Selected titles are available as ebooks on Amazon, Nook and other ebookstores. SELF-PUBLISHED… SO WHAT? In today’s complex publishing world, self-publishing can be a viable, even rewarding, adventure. Writers talk about how they keep their readers hooked, share favourite passages from their books and possibly dispense a trade secret or two.